I met Katy at the conference and she did a nice job on summarizing with pictures. 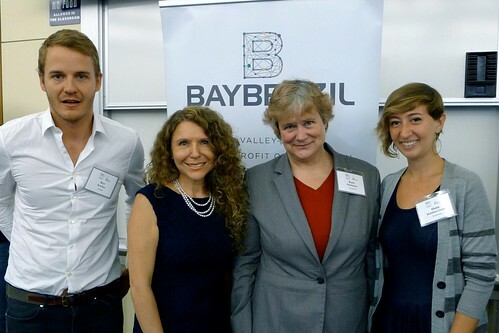 Ilana Robbins Gross and I from Everwise attended the BayBrazil annual conference: “Brazil in the 21st Century” yesterday on the Stanford Law School campus. I have known Margarise Correa (Founder & CEO of BayBrazil) for some years and admire both her leadership and ability to bring together the Brazilian diaspora of the Silicon Valley and San Francisco Bay Area. Ilana and I were there to learn and expand our network and also to meet potential mentors for the InovAtiva Brasil mentoring program I have been working on for the past year. Everwise just launched the mentoring platform for InovAtiva!